Fact Number 1: There are allegations of electoral fraud committed during the 2016 presidential elections. Fact Number 2: As a result of these allegations, a dispute on the results of the vice presidential vote count is being raised with the Presidential Electoral Tribunal (PET). Fact Number 3: The top two presidential candidates at the time impacted by the possibility of fraud are required to raise a service fee to have the PET review and investigate the allegations. As of yet, there are no conclusive facts coming out of the issue of electoral fraud in 2016. We have hypotheses and theories but no factual conclusions (which is why an investigation needs to be done). But in the way Inquirer writer Rina Jimenez-David puts it, in her column A peso for Leni, it seems all this is a foregone conclusion for her. 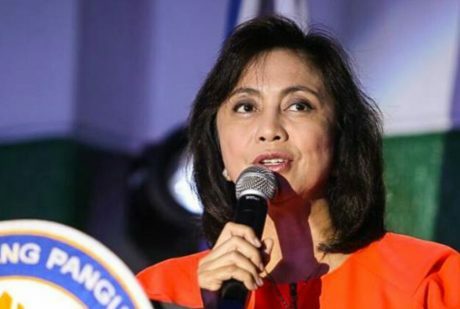 It could be because the seeming aim of her article is not to provide insight into the issue of electoral fraud in 2016, but to promote efforts to fund “vice president” Leni Robredo’s required participation in the PET investigation. That’s why a group of women, all of whom believe in Robredo’s rightful claim to the vice presidency and who wish to prevent a Marcos from having such close proximity to the presidency, recently launched a drive to help the Vice President fight off the Marcos challenge. (2) The goal of aiming to “prevent a Marcos from having such close proximity to the presidency”. Nowhere in the above takes into consideration the possibility that electoral fraud had been committed. Indeed, the whole exercise of pursuing a complaint with the PET is to get to the bottom of these fraud allegations. It is not about who “deserves” what. Neither is the PET investigation all about who has the money or how that money is acquired. The whole exercise was initiated because there exists allegations of fraud in the 2016 presidential elections. And where there are allegations, an investigation needs to be mounted. The women behind the “Piso para sa Laban ni Leni” are all awardees of The Outstanding Women in the Nation’s Service (or TOWNS) and are asking the Supreme Court to allow them to take part in Robredo’s counterprotest. The women are led by Nina Lim-Yuson, founder of the Museo Pambata, and include former Human Rights commissioner and columnist Paulynn Paredes Sicam, singer Celeste Legaspi-Gallardo, former BCDA board member Zorayda Alonzo, former social welfare secretary Dinky Soliman, and Ateneo de Manila University Press director Karina Bolasco. I might be missing something here but isn’t the whole point in an effort to investigate allegations of electoral fraud to determine whether people’s votes were properly accounted for? Furthermore, how could one confidently state that the 2016 elections “sent Robredo to the No. 2 post in the land” if doubts surrounding the integrity of those elections linger? Unfortunately for people like Ms Jimenez-David, that clarity of thinking is clouded by the sloppy reasoning she applied to her writing to frame Robredo as a victim in this whole affair. When will Yellowtards get the memo? There is no “victim” in this exercise. It’s a legal part of the whole kaboodle Filipinos signed up to called “democracy”. Credentials and beliefs don’t constitute good nor solid substance to modern thinking. Thank you very much, Ms Rina Jimenez-David. I can’t say Filipinos feel a lot smarter now after having read your “insightful” article on the subject, but at least you beat your deadline this week. Previous Article My timeline is filled with Fake News Crybabies! So these people supporting the Leni Robredo’s counter protest, are credentialed ? “Garbage In…Garbage Out “…a good technical terms for our Information Technology age. The Only way to safeguard our electoral system, is to put a good auditing system, to alarm the computer system, if there are some undue manipulation, during elections or prior to elections..
We can argue to the point of nothing…but most Filipinos, are not yet knowledgeable in this Information Technology…there are things, that are hard to learn and understand ! People who complain about something that they cannot do anything about are as irritating as those who complain about something that they can do something about. Being a “victim” is a matter of self-reckoning. Unless Robredo can admit to herself that she’s incapable of defense against allegations, then the idea of her being bullied is in itself pathetic. Everybody’s waiting for her to show some political delicadeza, but she just proves again and again that she doesn’t give a damn.